New York: World top-seeded Romanian Simona Halep withdrew from a US Open tune-up event due to a sore right Achilles tendon, the Women’s Tennis Association (WTA) said. “I really wanted to play it and I saw that many fans bought tickets to see me here, but I feel very sore with my Achilles, and I need some rest,” the Romanian said in a statement released by the tournament played at the Connecticut Tennis Centre in Yale. Winner of this year’s tournaments in Shenzhen, Roland Garros and Montreal and finalist of the Australian Open, Rome and Cincinnati, Halep won the title in New Haven back in 2013 but has not participated in this event of the tournament since 2014. Halep’s position will be taken by Swiss Belinda Bencic, who will face Italian Camila Giorgi. Giorgi on Monday defeated Romanian Ana Bogdan 6-3, 6-2. Meanwhile, Serena Williams, riding an emotional roller-coaster as she adapts to juggling tennis and motherhood, seeks to end 2018 on a high with a record-equalling 24th Grand Slam title at the US Open. 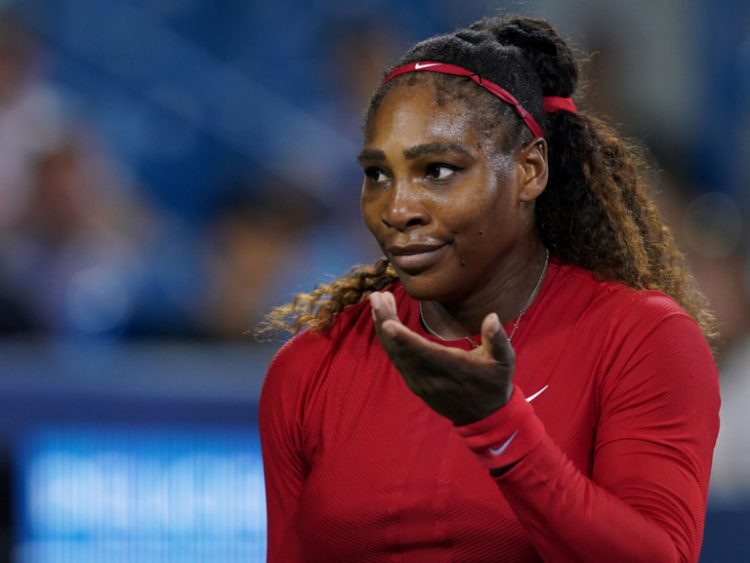 The US great counts six US Open victories among her 23 Slams and with one more would match Australian Margaret Court’s record for most major singles titles. She could also join Court, Evonne Goolagong and Kim Clijsters as the only mothers to win Grand Slam singles titles, but since an impressive run to the Wimbledon final — where she fell to Angelique Kerber — Williams has endured a lacklustre build-up to the hardcourt showpiece in Flushing Meadows. “I’m still at the very beginning, this is a long comeback,” she defiantly told reporters after a second-round loss to Petra Kvitova — winner of five titles this year — in the second round at Cincinnati. She had shrugged off an even bigger disappointment two weeks earlier — a 6-1, 6-0 loss to Johanna Konta in San Jose that was the most lopsided defeat of her career. Williams later revealed she had learned shortly before that match that the man convicted of killing her sister Yetunde Price in 2003 had been released on parole, something she “couldn’t shake out of her mind”. It was another instance of personal matters intruding on the tennis court in a way they never have before, with Williams opening up about her struggles with post-partum emotions since the birth of daughter Olympia last September, and wrestled with feelings of inadequacy that many new mothers experience. And then there’s her game, worryingly inconsistent in six tournaments so far this year — including the French Open where she withdrew before the fourth round with a pectoral injury. “Basically, my whole game needs to improve,” she admits, if she is to avoid her first season since 2011 without a Grand Slam singles title.